One of the reasons the Wipeout anthology is so enduring is that it’s very difficult to summarise it with a single definitive title. From the original trilogy made in conjunction with The Designer’s Republic, to the PSP titles and their HD remaster, there’s plenty of room for picking a favourite. Yet Pulse is one of the game least likely to earn this title, and the entry in the series that delivers familiarity more than any other. In the franchise’s fifteen year run it’s Wipeout: Fusion that stands out as the real anomaly – this is the game that underwhelms in the most obvious sense. Pulse ruins no formulas, and doesn’t try and fix anything that wasn’t broken. 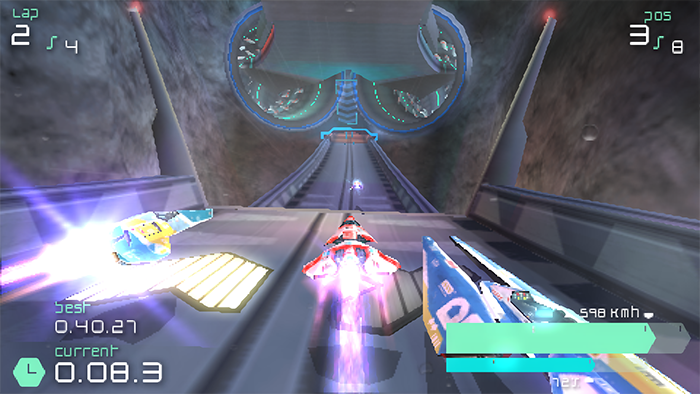 Instead it provides an experience very familiar to Wipeout Pure, and when you start to question the ways in which it’s an improvement over its predecessor, well it comes up a little short. In some ways it benefits from borrowing extensive elements from one of the PlayStation Portable’s best titles. In Wipeout Pure the controls are great, the handling robust, and the mechanics unquestionably fun. All of this can be said about Wipeout Pulse – there’s even some very minor refinements – and it’s these qualities that make the game worth playing. There are a couple of areas in which Pulse could perhaps be considered the superior title. Graphically it’s got a slight technical edge, and the ships in particular look really nice. However the tracks are visually quite similar, and lack variety in both look and feel. Then there’s the game’s structure. Pure was a straight up series of tournaments, where as Pulse has a grid of events for you to progress through. These mix up the game types, and although no amount of Time Trials and Speed Laps really beat the thrill of a Single Race, this layout stretches the content on offer over a sizeable campaign. There’s also the option to race the courses backwards, although this has both advantages and disadvantages. Whilst it does add some variety, the tracks lack definition and end up blurring together. There have been some creative modifications made to allow large jumps and gaps to function one way and be bypassed in reverse, but even then this option feels like it ended up limiting the implementation of distinct track elements. The small selection of courses, as well as their lack of variety, makes the game’s event structure feel particularly necessary. 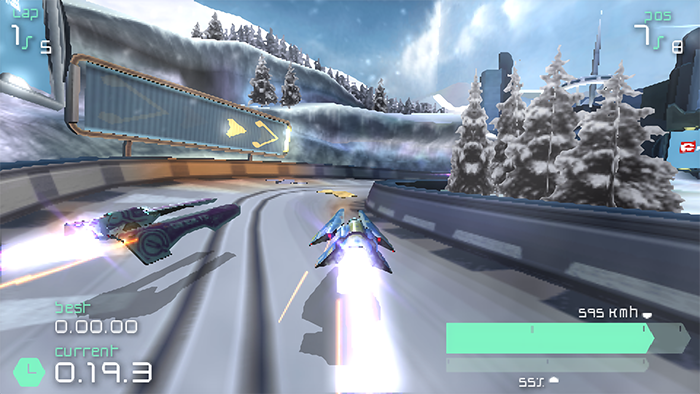 Whilst the twelve on offer is a comparable number to the amount Wipeout Pure shipped with, in the year following release the game saw a steady stream of free DLC that doubled the size of the game. Pulse also has DLC that enhances the game considerably, but there’s less of it, it was only released in Europe, and it costs money. 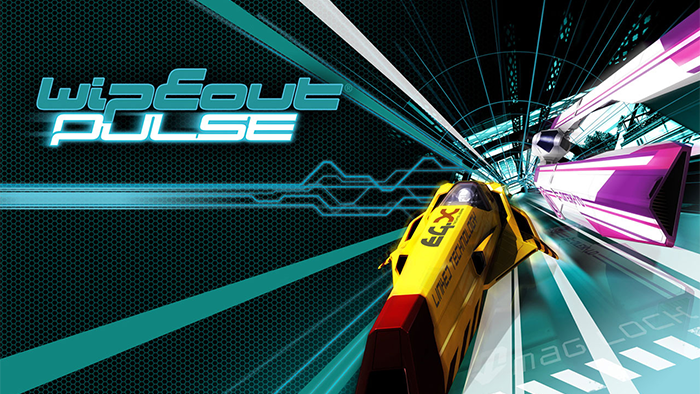 Whilst the DLC is a separate item for the PSP, Wipeout Pulse also made its way to the PlayStation 2 (again only in Europe) and this version includes all additional content on disc. It’s very much the same game mechanically, but the change in format does result in a couple of differences. The game reads data from the PS2 disc fairly slowly. When choosing a ship there’s a very noticeable delay cycling between options, and you can hear the disc spinning and clicking whilst this happens. There’s also some lengthy load times, and occasional slowdown when things get hectic. In spite of this the game is overall graphically quite impressive for the PlayStation 2. 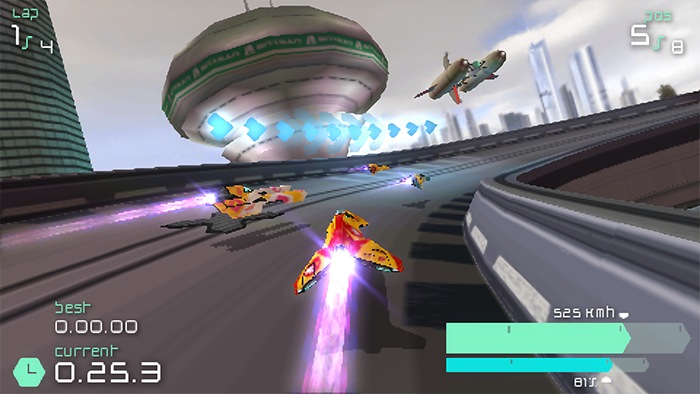 In retrospect a lot of PS2 games now look bland and washed out – Wipeout Pulse is not one of them. The other differences concern the change in display – a television instead of the PSP screen. The interface and all graphic elements have been designed for use on a small screen. On something a little larger than a PSP it looks great, but bigger still and things start to feel out of proportion. On a massive HDTV, everything looks way to large. There’s also the option to play the game in 4:3 rather than 16:9, which is pretty cool as it makes the experience feel more similar to the original PS1 titles. 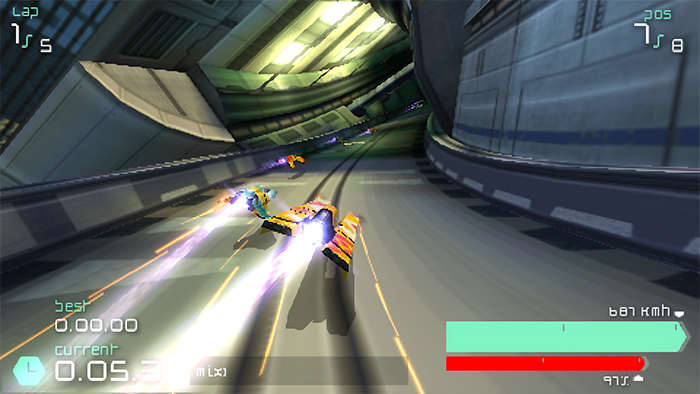 However whilst the game itself adjusts correctly to the different aspect ratio, icons and other elements of the interface have been squashed to fit the narrower space. For a while this was the only way to play Wipeout Pulse on a system other than the PSP, although now there’s the alternative option of using a PlayStation TV, which will scale up the game to 1080i. The PS2 version outputs at 576i, but then the console can be connected to a CRT using RGB SCART (full cable guide here by the way). Whilst the PS TV may have the higher resolution, depending on the size of your HDTV the tiny PSP image might look out of proportion when enlarged. Despite a lack of innovation, Wipeout Pulse is still in some ways a refinement of the superb mechanics defined by Wipeout Pure. 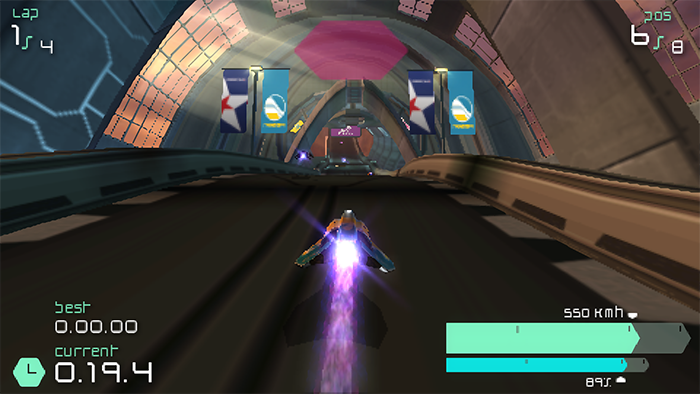 It’s fun on the PSP and impressive on the PS2, yet released between two better Wipeout games (Pure and Wipeout HD) it still feels like an underwhelming and insignificant entry in the series. Ultimately it’s the quality of the tracks that rely on defining the experience, and here the game doesn’t deliver anything that stands out as any more than quite good.